Visiting a wreck site is incredibly fascinating to divers because it allows you to visit a piece of history and immerse in archaeology. A wreck offers an amazing scuba dive experience because it gives you a chance to float through the submerged wreck and observe its different compartments including the creatures that have taken residency. Nemo Diving Center takes its divers to two particular wreck sites in Fujairah namely Inchcape 1 and Inchcape 2. Inchcape 1, a ship that is originally known as Gray Swift 2 was constructed in the USA by Halter Marine and shipped to Dubai around 1971 or 1972. Her service began in Ras Al Khaimah until she was transported to Dubai in 1991 and given the new name Inchcape 1. She spent her remaining years transporting crew and supplies in Dubai and Fujairah for Inchcape Shipping Services. 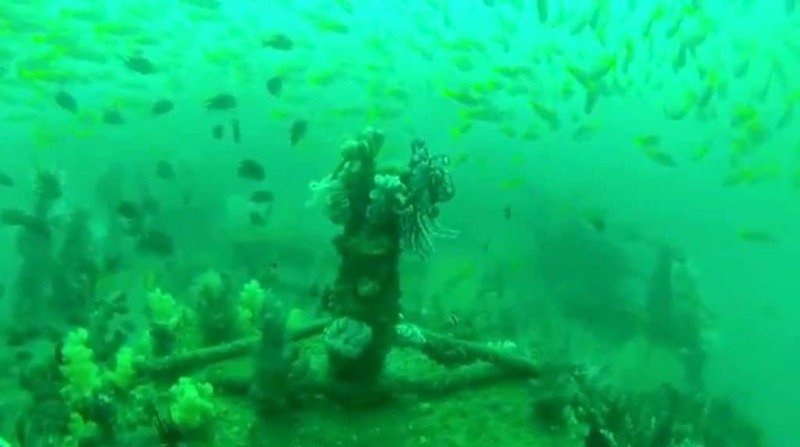 After being decommissioned in 2001, General Manager Eric Laing and his colleagues decided to give the ship a new purpose by sinking it to form an artificial offshore reef. Her engines, door, and hatches were removed and she was cleansed of oil residues. Inchcape 1, the first of the three Inchcape wrecks was sunk on December 12, 2001, and currently lies just off the Al Aqah coastline at a depth of 30 meters with a visibility of around 10 meters. This wreck is accessible by boat dive and is for certified advanced divers only with preferably excellent buoyancy control. The bow of the shipwreck is covered with pink and purple Dendronephthya soft corals creating a colorful reefscape. Shoaling yellow snappers may be seen at different parts of the wreck which become easy pickings for groups of jack or trevally. While a large shoal of cardinal fish often find solace in whatever remained of the wheelhouse after “Hurricane Gono” in June 2007 to avoid ending up as prey of the large barracuda and emperor fish that regularly patrol the area. Anthias, pennant fish, boxfish, pufferfish, and soldierfish also reside in this shipwreck as well as large rays that like to hide under the wreck towards the stern. Keep your eyes open for moray eels and hammour hiding in the tires. 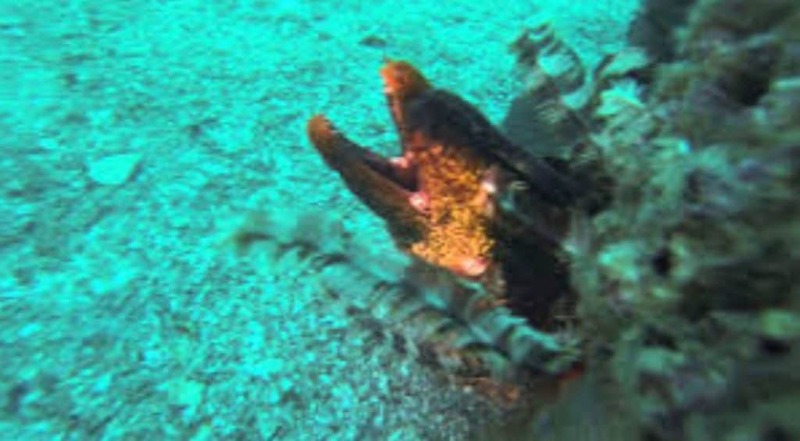 You might also encounter honeycomb morays, plenty of scorpionfish, a few lionfish, and red big eyes during your exploration. If you have reasonable visibility and no current, you can check out the stern and scattered wreckage in search of smaller creatures like seahorses and colorful nudibranchs. Just like the first Inchcape, Inchcape 2 was built in the USA by Halter Marine and shipped to Dubai in 1974. She was later moved to Fujairah in 1991 and once again relocated to Ras Al Khaimah in 1995. Her working life was dedicated to transporting crew and supplies to and from ships, rigs, and oil platforms. The successful staging of the artificial reef when Inchcape 1 was sunk inspired the Inchcape team to donate the decommissioned Inchcape 2 for the same purpose. It took more than two weeks of cleaning to remove the presence of oil residues then her doors and hatches were detached to make it possible for divers to swim through the wreck safely. Inchcape 2 was sunk in April 2002 and sits opposite of Martini Wall at a depth of 17-23 meters with a visibility of around 8-10 meters. She was sunk in shallower waters with the intention of making her more accessible to divers. The wheelhouse of Inchcape 2 was ripped in 2007 during the onslaught of Cyclone Gonu that’s why she is now referred to as the big mettle canoe. This wreck is accessible by boat dive just like Inchcape 1 and suitable for certified advanced divers. 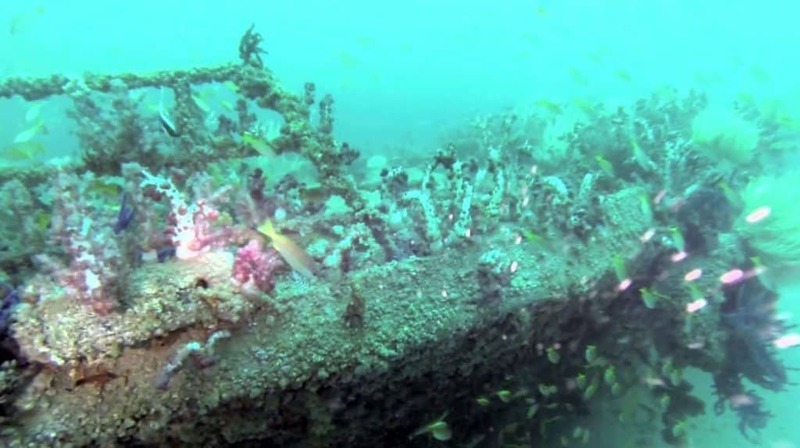 This shipwreck is covered by beautiful bright yellow, pink, and purple corals. 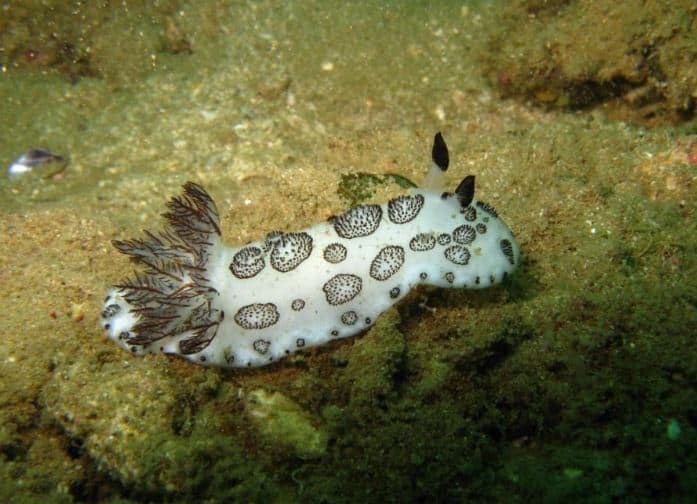 She is perfect for divers who love dabbling in macro photography because the site is crawling with colorful nudibranchs with at least 20 new species discovered on her. Divers who explore this wreck may also encounter shoaling fusiliers, huge pufferfish, little boxfish, chromis, and scorpionfish. At the edge of the deck, you might come across moray eels that have taken residence in the wreck. Keep a close eye on the railings and ropes where crabs party hidden by the growth on their shells live. You can also keep a watchful eye for rays and crocodile fish that are out on the sandy area. Penetrating a wreck can be a challenging and incredibly amazing experience but at Nemo Diving Center, we always implement responsible wreck diving. If you’re a certified advanced diver or above, join us on our next wreck dive to see the mysterious wonders of these sunken ships.